Well, tough luck for the seller. As a result there were only two bidders, I was the highest bidder with $360, which is a steal. There is no doubt that this record was signed during the launch party in the Trax club in New York, on September 27th, 1977. A record signed at the Trax not only by Jagger and Warhol, but also by all other Stones, was for sale at the notorious music shop Record Mecca a while ago. Asking price was $10.000. It was sold in a jiffy. 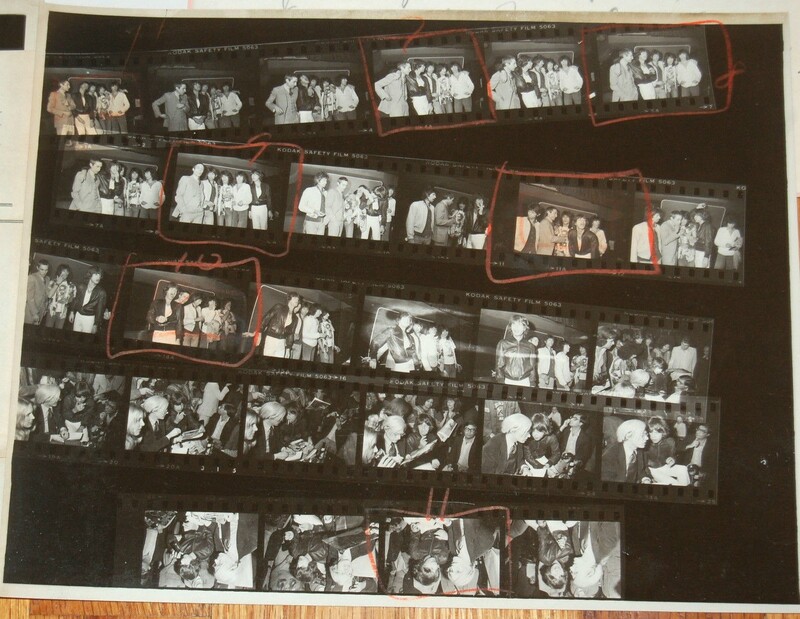 As seen on eBay: contact sheet of pictures by press photographer Terence McCarten at the Love You Live record launch, at the Trax in New York. Top three rows: band photoshoot. Lower two rows: Andy Warhol and Mick Jagger signing albums (and posters). The man sitting at the right is Interview’s editor Bob Colacello. These pictures are interesting in many ways. The man with the glasses sitting at the right, is Bob Colacello, who was the editor of Warhol’s Interview magazine. In one of the pictures you can see clearly that someone is holding a poster of the Love You Live cover, waiting to be signed. 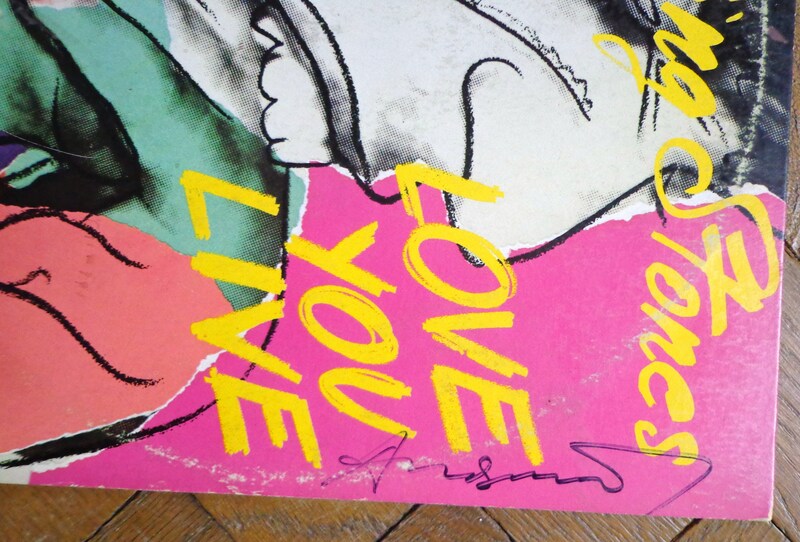 This type of poster often turns up on eBay or other sites: it has the original artwork of Love You Live, without lettering, how Warhol intended the cover to be. 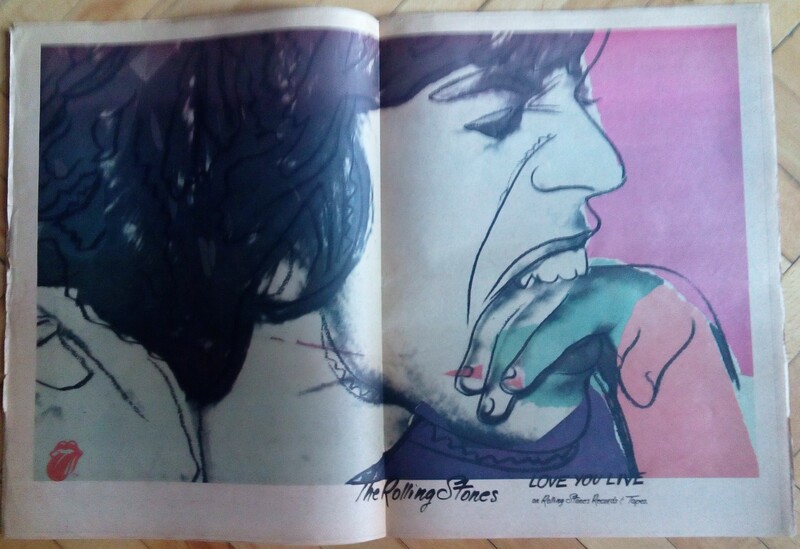 It’s printed on cheap newspaper-quality paper, and on the back is the text: “An Andy Warhol poster courtesy of Rolling Stone Records.” I have wondered for years who has issued this poster. It is not included in Paul Maréchal’s catalogue of commissioned Warhol posters, probably because the source of it was unknown. I would like to end this post with a side note about this particular magazine issue, nothing to do with the Stones cover, but very funny. Warhol and his Factory (or at that time rather called The Office) were a very commercial enterprise, as we all know. So in this issue of Interview – as probably in all other – were a lot of coupons for stuff you could order by mail. 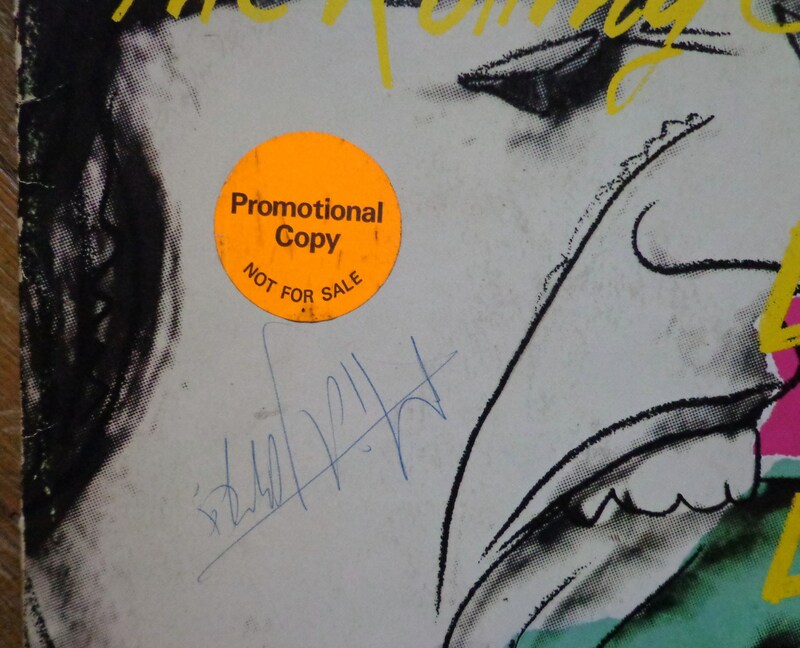 Turns out that a signed book by Warhol was cheaper than a T-shirt. You could order a signed copy of The Philosophy of Andy Warhol (From A to B & Back Again) for $7.95, while a T-shirt with Andy Warhol’s BAD (the movie) cost $8, and a shirt with the logo of Interview was $11. Isn’t this great? Nice post Guy, and i would say “a bit of luck” is somewhat of an understatement. What a fantastic find and a steal indeed. Great info about the signing and poster as well! Keep it coming!